A lot of home owners and office workers use faulty appliances every day, and they don’t even realise, a lot of people also do not understand the importance of electrical PAT testing until it is too late. What Is Electrical PAT Testing? 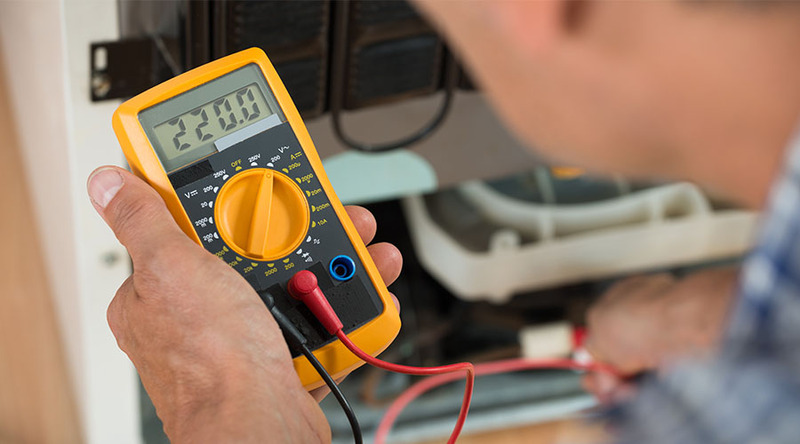 Electrical PAT testing is a process that is often carried out by highly experienced electricians to ensure that all appliances within the building are in safe and working order. A lot of electrical appliances and machinery can be diagnosed as faulty by vision, however, in certain circumstances, the issue can be underlying inside the electrics of the appliance. Although electrical PAT testing is important, it is not seen as crucial in the eyes of the law, and no law stands that you must have regular electrical inspections and have all of your appliances PAT tested within your home. Although under the Electricity At Work Act 1989 it states that any electrical appliances that has the potential to be harmful must be maintained in a safe condition – so although there are no strict laws there are still guidelines on how your equipment should be within your home. Electrical PAT testing is used everywhere, it must be carried out in residences, hotels, restaurants and offices. Electrical PAT testing is not a strict legal requirement – so why should you spend your money doing it? What benefits does it bring to you and your family? Keep reading to find out! Your old kettle you’ve had for years might look lovely in your kitchen, but when was the last time you had it PAT tested or inspected by a qualified electrician? All it takes is a malfunction in the worn out electrics for your house to be on fire or for someone to be seriously injured if not killed by simply switching the kettle on. If you own a business you may want to invest in electrical PAT testing; you would be liable for any injuries caused to your employees through not having safe electrical equipment, and when running a business it is a legal requirement to have your buildings appliances PAT tested. You should want to not only improve the safety of your employees but also your family members. And although it can never be 100% guaranteed that nothing will happen after having your appliances PAT tested, it still reduces the risks a great deal as opposed to doing nothing. Could you afford to lose your business or your home? Of course, we can guarantee that your appliance is completely safe when we are testing it, but we can not ensure that it will not get damaged and become dangerous afterwards. You may not realise it’s potential, but electricity can be extremely harmful and was responsible for the injuries of 350,000 people only last year. People often think they can deal with the issue themselves when it should only be left to one of our highly experienced electricians in Milton Keynes. The power of electricity is stronger than you think, and faulty electrics are 20% higher than any other injuries and are more likely to kill their victim. Although we already discussed that it is not a legal requirement to have your appliances PAT tested, you still have to keep any electricals that have the potential to be faulty safe. And in the tragic event where a fire or severe injury you have complied with the law as much as you can and will avoid getting yourself into trouble with the law. When starting up a business under Health And Safety, you must ensure that all of your appliances are safe and kept in good condition. Insurance companies have very high standards and will expect you to comply with the Electricity At Work Act alongside Health And Safety Regulations. If you cannot prove that you’re looking after your appliances to a satisfactory level and cannot provide any proof that your appliances are safe, then your insurance company may scrap your insurance policy and deem it void. When somebody claims in regards to an electrical accident due to faulty electrical appliances without a PAT testing certificate, then your insurance company may decide to decline any claim that is being attempted to be made. Although home insurance can cover a certain amount of items that may be damaged within your home, it cannot cover everything. Old items, childhood memories and family heirlooms are common within homes, and once they are gone, they are gone. If you have a lot of memories and family heirlooms that would be irreplaceable within your home, then it’s a good time to have your electricals and appliances inspected or PAT tested. A lot of families have fallen victim to electrical related fires and have lost all of their belongings – including some irreplaceable items. To prevent this tragic event happening to you or your family then it is important that you have your appliances PAT tested so that you can reduce the risk of house fires or damage to your home. All in all hiring an experienced electrical contractor in Milton Keynes is the best thing to do when you are considering having any electrical work done to your home – especially when it involves something like electrical appliances. You should NEVER attempt to carry out any electrical work yourself as you could cause an injury to yourself if not the people around you. If you are looking for an electrician in your area then In2 Electrical offer a wide variety of services to suit all of our customer’s needs, we also offer 24-hour service every day of the week for any electrical emergencies you may have. We hope this article was helpful – if it was then why not share with your friends and family?